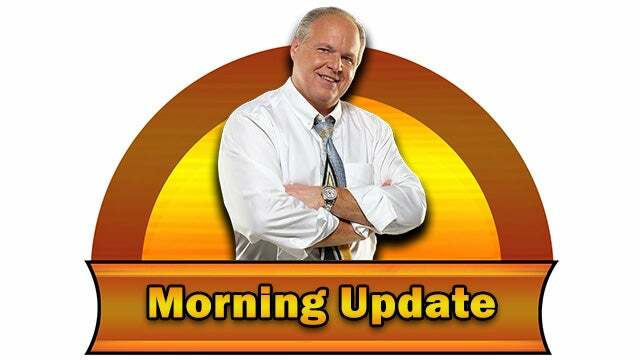 RUSH: According to a new travel-industry study, Americans got 17 vacation days last year, on average which is the most in eight years. That’s good news, right? Well, the study also shows that a majority of Americans, 52%, don’t use all their allotted vacation time. In fact, 24% have not taken a vacation in over a year. The main reason is guilt. People think they’ll look less dedicated to their jobs if they take time off, and will be more easily replaced. It turns out, science now says it’s just as well that Americans don’t take off as much as they could. A new Australian study warns that tourism has a horrible impact on global warming. According to the “Integrated Sustainability Analysis” — that’s a team of people at the University of Sydney — 10% of all greenhouse gases supposedly come from tourism. Do you realize what a crok that is? And these Aussie global warming researchers say the No.1 offenders are … American tourists. Well, of course! So. Here’s some advice for you liberals who believe this is rotgut. Stay home! Don’t travel. Get back to work. Save the earth, save your jobs all at the same time! And leave the seeing of the USA and the world to us.